Love designer paint colors but hate the price? 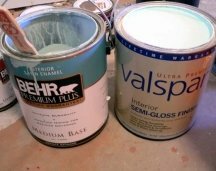 If you can't afford to pay $60+ per gallon, you'll be glad to learn about these sources of high quality, heavily marked down interior and exterior home paints. Brand name and designer paint colors usually get marked down only as a result of a mistake in the color formula. For example, the paint store clerk may have messed up and mixed a different color than what was requested. Or maybe the paint mixing machine was due for a tune-up and produced a slightly inaccurate shade. Sometimes it's the homeowner who simply ordered a wrong paint color and brought the paint back to the store. These things happen all the time, but to redeem the mistake, such paints are resold at a big discount as "Oops" paints, instead of recycling them or sending them for disposal. That way, the store recovers some of the production expenses, the landfills stay cleaner and you get a chance to save a lot of money - truly, a winning solution that benefits everyone! (Note that in the case of a customer return, the paint store will often re-tint the paint color, to prevent the homeowner from coming back and buying the same paint at a discount). Mistinted paints don't necessarily mean ugly colors (although sometimes you will see some that look gaudy) and somebody else's "wrong color" may be just the right color for you. Oftentimes, you will find an "Oops" color that you can use as is. But occasionally you will have to adjust the color to be able to successfully use the paint for your project (it also depends on how particular you are about color). You can ask for the color to be re-tinted more to your liking right there at the paint counter, and they will usually do it for free. It will help a lot if you show them an example of the final color you have in mind - just be realistic in your expectations because there is a limit to how much a paint color can be changed (e.g. you can't turn an off-white into a navy blue, for example, but a slight tweak to the color's intensity, undertone or value is always possible). Alternatively, you can bring the paint home and shift the color yourself, using craft colorants. 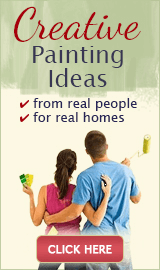 See "Mixing Custom Paint Colors" for instructions. With all this tricky color tweaking, are "Oops" paints really worth the trouble? Just how much can you actually save? The short answer is, a lot! 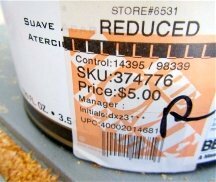 "Oops" paints are usually sold for $2-10 per gallon, or $1 per quart. Compare that to $40-60 per gallon (or even more) that "proper" designer paint colors sell for, and you will agree that it's hard to find a better deal! 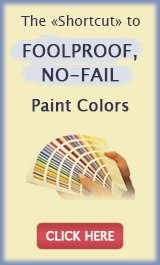 Mistinted paints offer you a great way to re-paint your entire house very cheaply - without compromising on quality (many popular brands end up as "Oops" paints - including Ralph Lauren, Benjamin Moore, Sherwin Williams, Martha Stewart, Glidden, Behr and other quality paint lines). 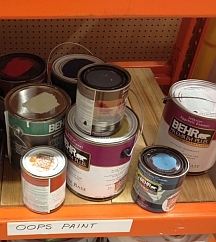 You can find these paints not only in specialized paint stores, but also at The Home Depot, Lowes, Walmart (the shelf with "Oops" paints is located in the paint department, often at the end of the paint aisles - if you have a hard time finding it, ask at the counter if they have any mistinted or returned paints for sale right now). In bigger stores with lots of traffic, you can expect to see about 10 to 20 cans on the "Oops" shelf at any given time, and the turnover is usually very quick. So if you don't like anything in their current selection, make sure you stop by a few days later for more color options. Warning: hunting for bargain designer paint colors can be addictive. 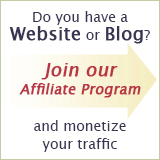 Once you try it, you may never go back to paying retail again!